View of Bear Meadows Natural Area from the Mid State Trail. 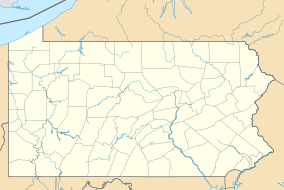 Rothrock State Forest is a Pennsylvania state forest in Pennsylvania Bureau of Forestry District #5. The main offices are located in Huntingdon in Huntingdon County, Pennsylvania in the United States. Rothrock State Forest is located in Centre, Huntingdon, and Mifflin Counties. State College, home of Penn State University is only a few miles from many of the entrances of Rothrock, leading to high utilization of the forest by students and staff of the university. Rothrock shares a common border on its eastern portion with Bald Eagle State Forest and is just north of areas of Tuscarora State Forest. Rothrock State Forest was formed as a direct result of the depletion of the forests of Pennsylvania that took place during the mid-to-late 19th century. Conservationists like Dr. Joseph Rothrock, for whom the forest is named, became concerned that the forests would not regrow if they were not managed properly. Lumber and iron companies had harvested the old-growth forests for various reasons. They clear cut the forests and left behind nothing but dried tree tops and rotting stumps. The sparks of passing steam locomotives ignited wildfires that prevented the formation of second growth forests. The conservationists feared that the forest would never regrow if there was not a change in the philosophy of forest management. They called for the state to purchase land from the lumber and iron companies and the lumber and iron companies were more than willing to sell their land since they had depleted the natural resources of the forests. The changes began to take place in 1895 when Dr. Rothrock was appointed the first commissioner of the Pennsylvania Department of Forests and Waters, the forerunner of today's Pennsylvania Department of Conservation and Natural Resources. The Pennsylvania General Assembly passed a piece of legislation in 1897 that authorized the purchase of "unseated lands for forest reservations." This was the beginning of the State Forest system. Two of Dr. Rothrock's major accomplishments as commissioner were his land acquisition program and the creation of a forest academy to train foresters for state service. He led the effort in central Pennsylvania to acquire land that had once belonged to the Greenwood Iron Works. The iron company had left behind approximately 35,000 acres (14,000 ha) of land that had been stripped of its old growth forest to provide fuel in the form of charcoal for the iron furnaces in northern Huntingdon County. Additional land was purchased soon after until nearly all of the Seven Mountain area had become state property. The lands acquired in the early 20th century were divided into three separate state forest reserves. Logan State Forest comprised the land in northern Huntingdon County and Ferguson and Harris Townships in Centre County. Penn State Forest was located in Potter Township, Centre County and Armagh Township and Brown Township Townships in Mifflin County. Rothrock State Forest was near Mount Union and Entriken, in Huntingdon County. The three forests were merged in 1953 with parts of Penn and Logan being added to Bald Eagle State Forest and the rest combined to make what is now Rothrock State Forest. Some of the first firetowers built in Pennsylvania were constructed in Rothrock State Forest in the 1920s. Pennsylvania Governor Gifford Pinchot, former chief of the U.S. Forest Service upgraded the Pennsylvania Forestry Division to full department status and gave the new Department of Forest and Waters the funds needed to build steel observation towers in the state forests. The construction of the observation towers combined with changes in forest management lead to a dramatic decrease in the number and size of forest fires throughout the state forests of Pennsylvania. Much of the land that is now Rothrock State Forest was cleared of dried underbrush during the Great Depression by the young men of the Civilian Conservation Corps created by President Franklin D. Roosevelt. In addition to clearing the forests and streams of brush the CCC also built roads and trails in the state forests and parks and many of the recreational facilities still in use at the state parks in the Rothrock State Forest area. By the 1950s the second growth forests of oak and hickory had grown to a size that the wood was ready to be harvested for lumber. A scientific forestry management plan was put into place in 1955. The timber management plan was expanded to a natural resource management plan in 1985. The new management plan covers the management of water, wildlife, timber, fire protection and recreation. Recreational use of the Rothrock State Forest has grown in the last several decades. All visitors are asked to learn and comply with all state forest regulations while using and respecting the forest and its facilities. Various events are held in Rothrock each year including the Wilderness 101, a 101-mile (163 km) mountain bike race, and the Tussey MountainBack 50 Mile Relay, a 50-mile (80 km) race and Ultramarathon, and the Stoopid 50 mountain bike race. In 2005 the Single Speed World Championship race was held in Rothrock. The Trans-Sylvania Mountain Bike Epic 7-day Stage Race is held annually in the park, with stages in both Rothrock and Bald Eagle State Forests. On May 1, 2006, a large fire occurred in Rothrock State Forest. Over 100 acres (40 ha) burned. The Tussey Mountain Trail transects this burn, which is now quite beautiful in spring with wildflowers and grasses among the charred trees. This trail has become a regional favorite among mountain bikers and hikers. The 2010 and newer Purple Lizard Trail Map shows the extent of the burn zone. The Rothrock State Forest contains nearly 300 miles of hiking trails. The Pennsylvania Mid State Trail (MST), a 326-mile cross-country trail running from the Green Ridge State Forest in Maryland to a spur of the Finger Lakes trail in New York, crosses the Rothrock State Forest for about 42 miles. In addition to the MST and miles of local hiking trails, Rothrock State Forest includes roughly 16 miles of the 70+ miles long Standing Stone Trail (SST). Numerous mountain biking trails can be found throughout Rothrock State Forest. It is one of the premier mountain bike destinations in the state, as evidenced by the world class race events held here annually. Shingletown Gap and Coopers Gap are two areas that have a high concentration of popular mountain bike trails. Rothrock has two IMBA Epic rides, each uses trails in these two separate Gaps. The Purple Lizard Trail Map is the popular local map to use of the forest. Additional maps and resources can be found on the Keystone Trails Association website and IMBAs website. A free map can be downloaded from the Rothrock DCNR webpage. There are no dual-sport motorcycle trails in Rothrock State Forest. Neighboring Bald Eagle State Forest has one of the largest motorcycle trail systems in the state. Street legal motorcycles are allowed to ride the public roads in Rothrock, and this is a popular destination for motorcyclists. The Purple Lizard Trail Map of Rothrock is the popular local resource for exploring the dirt road network in Rothrock. Alan Seeger Natural Area: Huntingdon County, 390 acres (160 ha) north of Greenwood Furnace State Park. Includes about 25 acres (10 ha) of old-growth Eastern white pine and Eastern hemlock, with some trees 4.5 feet (1.4 m) in diameter and nearly 1,000 years old. Bear Meadows Natural Area: Centre County, 890 acres (360 ha) four miles south of Boalsburg. Protects a 320 acres (130 ha) boreal bog with old-growth black spruce and balsam fir forests. Big Flat Laurel Natural Area: Huntingdon and Centre Counties, 184 acres (74 ha) four miles south of Boalsburg. Includes extensive stands of mountain laurel. Detweiler Run Natural Area: Huntingdon County, 463 acres (187 ha) southeast of Boalsburg. Includes 185 acres (75 ha) of old-growth Eastern white pine and Eastern hemlock forests above a Rhododendron understory. Little Juniata Natural Area: Huntingdon County, 624 acres (253 ha) west of Barree. Includes a slope of Tuscarora sandstone scree and a horizontal thrust fault. Rocky Ridge Natural Area: Huntingdon County, 150 acres (61 ha) south of Martin Gap. Includes exposed sandstone and limestone beneath an oak woodland. Thickhead Mountain Wild Area: Centre and Huntingdon counties, 4,886 acres (1,977 ha). Forested ridges and mountains with over 50 acres (20 ha) of old-growth ridgetop Chestnut Oak forests including trees up to 350 years old. Trough Creek Wild Area: Huntingdon County, 1,703 acres (689 ha). ^ a b "History of the William Penn State Forest". Pennsylvania Department of Conservation and Natural Resources. Archived from the original on August 23, 2007. Retrieved 2007-08-29. ^ a b c "History of the Rothrock State Forest". Pennsylvania Department of Conservation and Natural Resources. Retrieved 2007-06-16. ^ a b "PA DCNR - Rothrock". www.dcnr.state.pa.us. Retrieved 2017-02-25. ^ a b c Mary Byrd Davis (23 January 2008). "Old Growth in the East: A Survey. Pennsylvania" (PDF). Archived from the original (PDF) on 17 February 2012. "Rothrock State Forest". Pennsylvania Department of Conservation and Natural Resources. Retrieved 2006-07-25. "Tussey mOUnTaiNBACK 50 Mile Relay and Ultramarathon". Retrieved 2006-07-25. This page was last edited on 23 April 2019, at 04:35 (UTC).